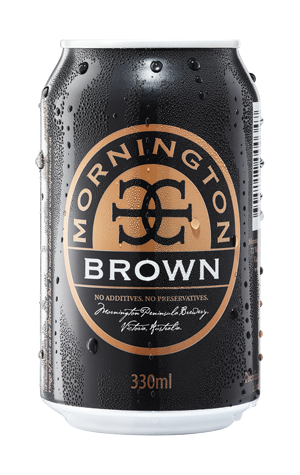 Such is the popularity and reputation of Mornington Peninsula Brewery's Brown Ale (in that cultish manner beers like brown ales are destined to occupy), it came as quite a surprise to learn recently it almost never was. During June's Crafty Cabal event at the brewery, founder Matt Bebe told us that, back in the earliest days of the brewery, head brewer AG couldn't get the beer to a point where he was happy with it. Apparently, the beer was close to being scratched until "one last go" ended up with the beer admired as much as, if not more than, any other local brown ale by fanciers of such malt led beers. Now, more than six years on from its debut, the beer has joined Mornington's canned lineup. The beer is very much the same: subtle layers of chocolate, toffee, toasted nuts, some raisin like fruits and a hint of drying roastiness. But now it's in a can too.